Patient education is something we take very seriously here at Edge Dental. Knowing what is going on in your mouth means being able to properly take care of your mouth. Intra-oral cameras have done a great job in terms of educating patients in the dental industry. 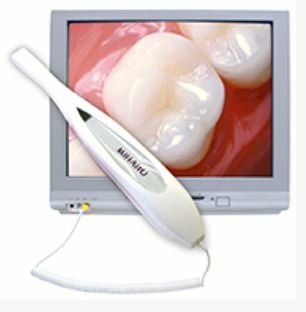 An intra-oral camera is a small, toothbrush shaped/sized camera. The video taken with it is projected onto a monitor that we adjust so you may view the feed. We frequently use inter-oral cameras during a dental exam to show patients issues that have arisen within their mouth, since it is not easy to view much of your own mouth using a mirror. With the camera we are able to show you in high detail what is going on in your mouth. What advantages does it provide? If you would like to take a look into your own mouth give us a call at (281) 940-8940 and we will get you scheduled for an appointment today!